In the world of high-end Japanese performance machines, it’s mighty difficult to top the Nissan GT-R. 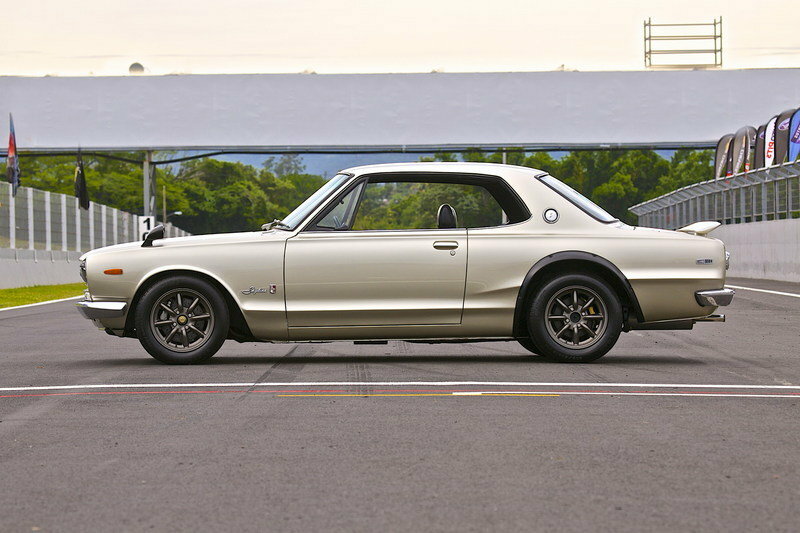 But like the folded steel of a katana, the twin-turbo AWD track weapon we know and love today is the product of meticulous refinement, and it all started with this: the Skyline GT-R Hakosuka. 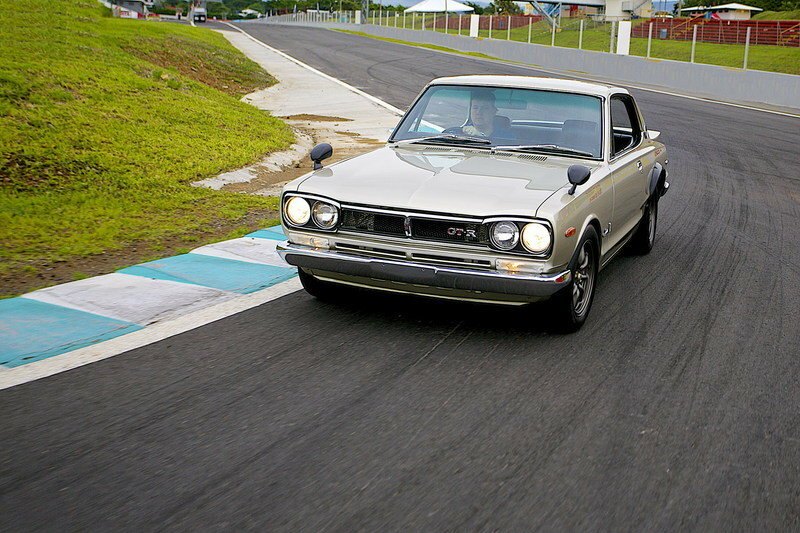 Now nearly five decades old, the Hakosuka was the first Nissan to bear the highly respected three-letter badge currently considered a synonym for speed, and it set the precedent by way of a high-revving six-cylinder engine, exceptional handling prowess, and a reputation for on-track dominance. Updated 08/22/2016: We added a series of images taken during the car’s presentation by Gooding & Company at the 2016 Pebble Beach Concours. And, believe it or not, this car failed to sell. 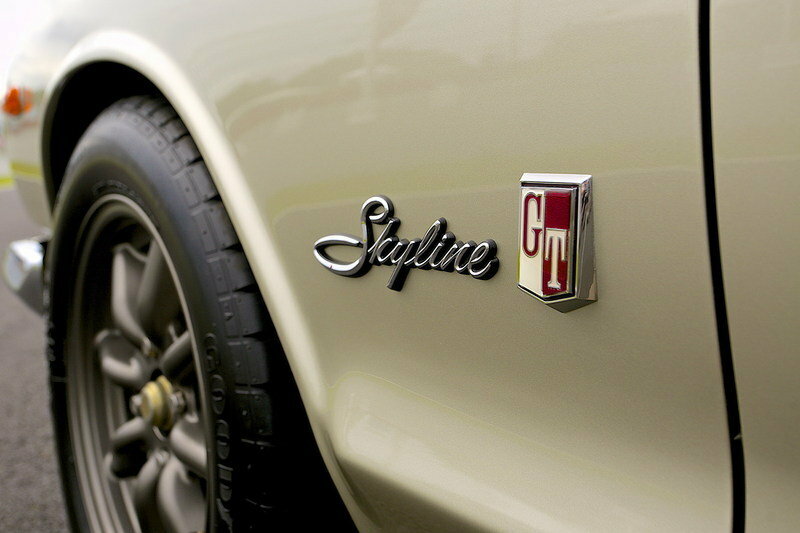 The Skyline was first produced by a different Japanese automaker, Prince Motor Company, which originally pinned the nameplate to luxury sedans beginning in 1957. Over time, several different variations were created, and in 1966, Prince merged with Nissan/Datsun. Nissan decided to continue the Skyline lineage, and in October of 1968, debuted the first-generation Skyline GT-R at the Tokyo Motor Show. Initially, Nissan only offered the Skyline GT-R as a four-door sedan, but in March of 1971, a short-wheelbase two-door coupe variant was introduced. 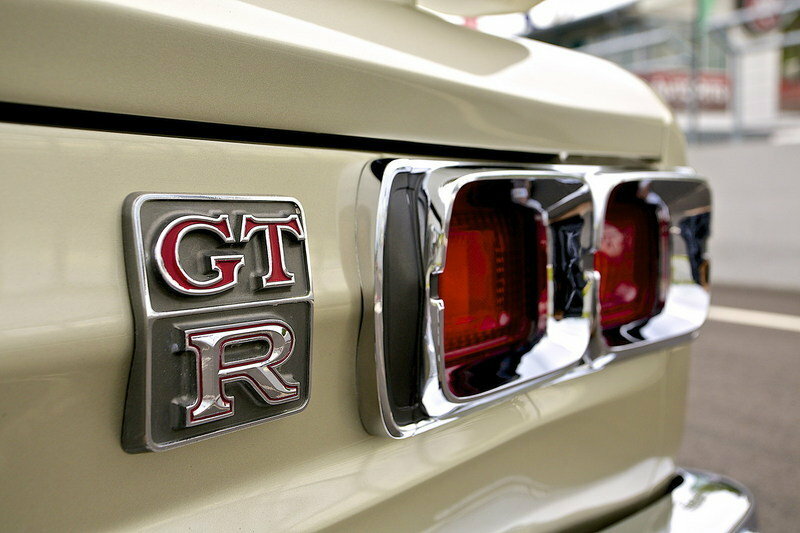 The letters “GT-R” stand for gran turismo racer, which Nissan used to help boost sales due to the growing popularity of western naming conventions. The term Hakosuka, however, comes from the buying public, which combined the Japanese word for box (hako) and the Japanese pronunciation of skyline (suka) to give the model its unique label. 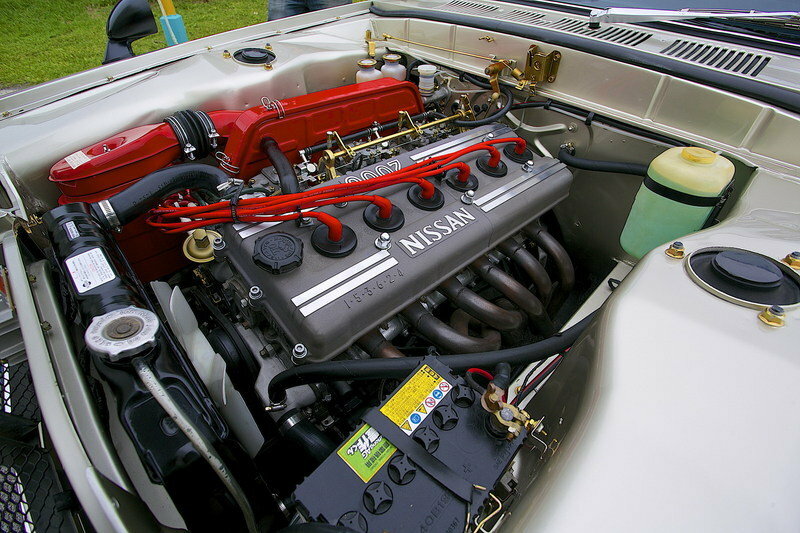 Modern enthusiasts typically use Nissan’s internal chassis codes when describing individual vehicles. 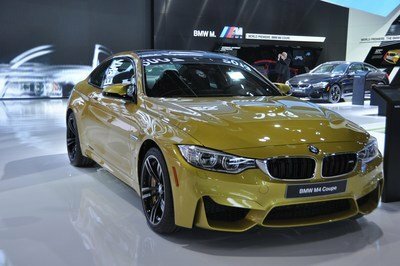 The four-door is referred to as PGC10, while the coupe is KPGC10. This helps to separate the GT-R from models like the 2000 GT and GT-X, which are similar in appearance, but are far less potent in terms of performance. Whatever you want to call it, Nissan created the GT-R in order to win races, an endeavor in which it was outrageously successful. Battling the likes of the Mazda Capella and Savanna RX3, the GT-R managed to rack up a huge number of competition victories in a very short time span, including almost 50 consecutive touring car wins before the RX3 managed to break Nissan’s streak at 49. 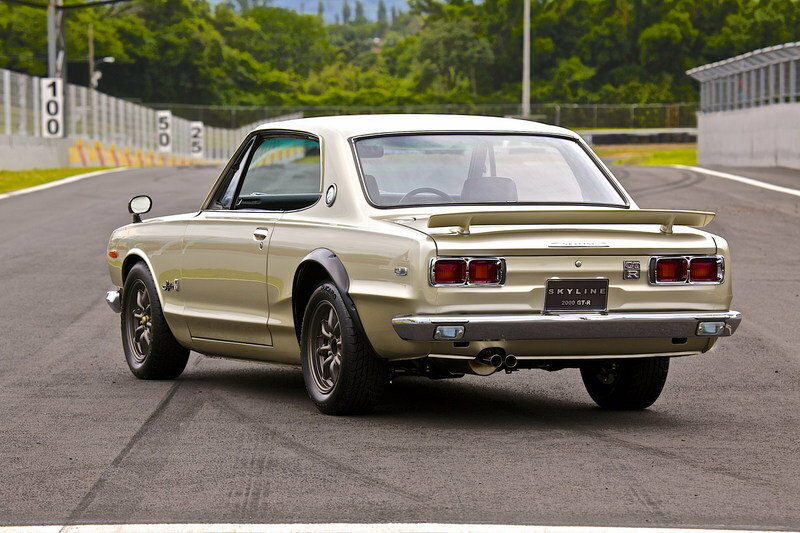 By the time it retired in 1972, the Hakosuka was recognized as one of the most dominant competitors in the history of Japanese motorsport, solidifying its legendary status. In 1973, the Hakosuka was succeeded by the second-gen GT-R, a vehicle known in Japan as the Kenmeri. The term is derived from an advertisement that featured a young couple (named Ken and Mary) driving their GT-R through the countryside. While the Kenmeri was equipped with roughly the same drivetrain as the Hakosuka, it employed a restyled, fastback exterior that was slightly larger than its predecessor. The curb weight was also marginally increased. However, once the 1973 oil crises hit full force, demand for sports cars plummeted, and the Kenmeri GT-R was subsequently shelved. It would be another 16 years before Nissan resurrected the high-performance Skyline with the 1989 R32, a car that eventually evolved into the modern-day GT-R. When an individual is presented with a picture of the Hakosuka GT-R, their reaction usually falls into one of two categories – complete indifference, or unrestrained foaming-at-the-mouth enthusiasm. By modern standards, the Hakosuka’s arrow-straight lines and boxy proportions are conservative and restrained, but for those who know, the shape is pure excitement. 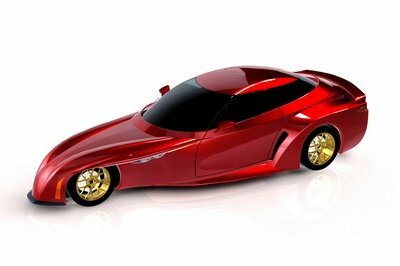 Broadly speaking, the first GT-R looks somewhat similar to the Datsun 510 or BMW 2002. However, the more you look at, the more you start to notice all the fine little details. Chrome outlines can be found on the front fascia and windows, while the side-view mirrors are placed on the fender corners ahead of the front axle. A lower character crease plumps the car’s visual width – not that the Hakosuka really needs to be wider, though, as fender flares are placed in back. Moving to the tail, you’ll find a wing spoiler attached to the trunk lid, plus more chrome for the taillight surrounds and bumper. Polished twin exhaust tips are located on the left. Watanabe provides its classic wheel design for the finish. For any well-informed gearhead, one look is all that’s needed to imagine this speed brick flinging itself off a corner, rear sliding, engine shrieking. 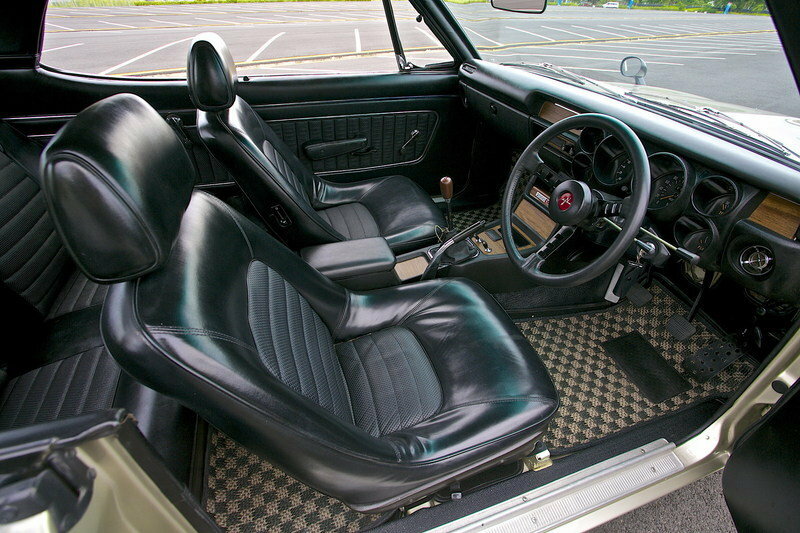 Inside, the Hakosuka offers… cozy accommodations, particularly for any individual crammed onto the rear bench. The materials, however, are quite nice, with leather upholstery and wood trim on the dash. The instrument cluster is dominated by a large tachometer and speedometer, while four ancillary gauges round out the available info. The central console comes with a few odd buttons and switches to control various vehicle functions. It’s all quite simple and unembellished, and it appears as though form followed function – a complete reversal when compared to contemporary automotive products from Europe and the U.S.
Oh, and the steering wheel is on the right. Obviously. Like the present-day GT-R, the Hakosuka is equipped with an absolute screamer of an engine. Mounted in the nose is the S20, a 2.0-liter inline six-cylinder with double overhead cams, four valves per cylinder, a crossflow cylinder head, hemispherical combustion chambers, and triple side-draft carburetors. The S20 was first put into production in 1968, and was originally designed by engineers from Prince. It’s based on the GR-8, a 2.0-liter high-performance unit used on the R380 race car, which helped lend credibility to the GT-R’s sporting intentions. This pedigree was made apparent when Nissan debuted the PGC10 alongside an R380 in Tokyo. 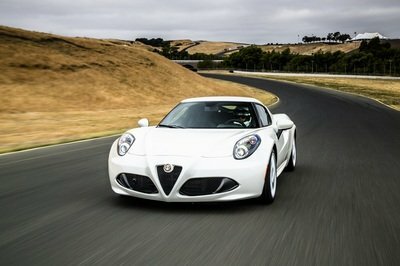 Sending the power to the rear axle is a five-speed manual gearbox. Top speed was rated at around 125 mph. As they say, power is meaningless without control, and the Hakosuka comes prepared with a sophisticated four-wheel independent suspension set-up to help it lay waste to the competition on track. In front are MacPherson struts, while the rear uses subframe-mounted semi-trailing arms. With a little under 2,500 pounds to push around, the Hakosuka could turn with the best of them, including high-end sports cars coming from Europe. Upping the traction is a clutch-type limited-slip differential, while the steering uses a recirculating ball mechanism. The brakes are vented discs with single-piston calipers in front, plus drums for the rear. In Japan, the Hakosuka GT-R originally sold for 1.5 million yen, or $14,140 at current exchange rates (07/22/2016), making it one of the pricier models available. Production was limited to just under 2,000 units, 800 of which were four-door PGC10’s, and 1,200 of which were shorter two-door KPGC10’s. These days, the Hakosuka GT-R has been swept up by surging collector car prices, and even though the market appears to be cooling, it’s likely we’ll see continued growth in the near future (for more information on collector cars, click here). So then, exactly how much money are we talking about? Well, back in 2014, an absolutely flawless 1972 KPGC10 sold for $220,000 at the RM Sotheby’s auction in Monterey, smashing initial estimates of $125,000 to $175,000. Another KPGC10 will hit the block at the Gooding And Company auction in Pebble Beach next month, with an estimated value between $225,000 and $275,000. Check it out here. 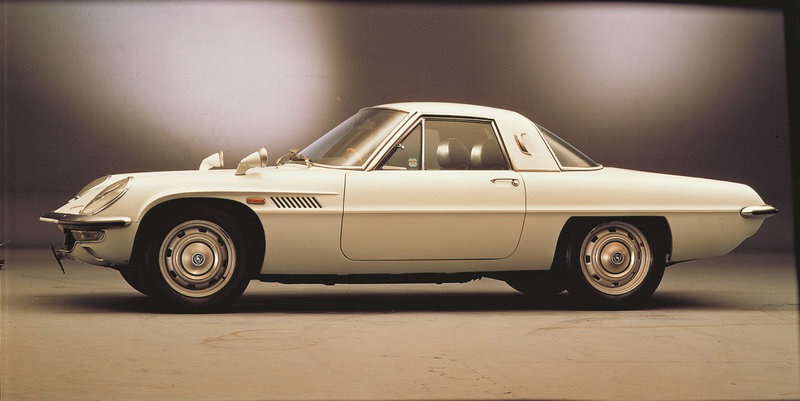 Originally put into production in 1967, the Cosmo takes its name from the Space Race, an appropriate moniker considering its role as a test bed for developing technology like Mazda’s hallmark rotary engine. Well-kept first-generation vehicles can fetch as much as a quarter-million dollars at auction. 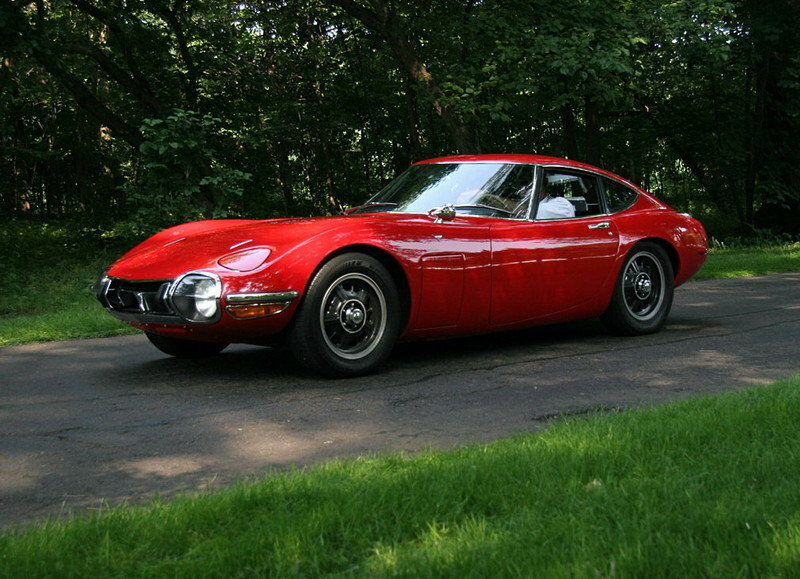 Classic Japanese sports cars don’t get much more beautiful than the stunning Toyota 2000 GT. 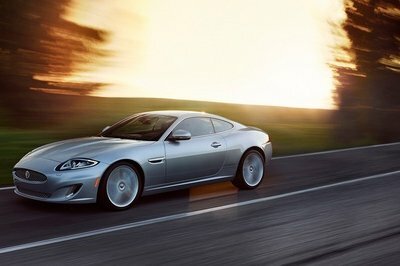 Sporting a front-mounted inline six-cylinder engine, luxurious interior, and a striking fastback exterior design, only 350 examples were built. If you happen to find one at auction, expect the bidding to eclipse the million-dollar mark. 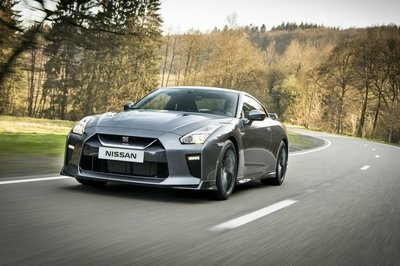 Even if you don’t have grease under your fingernails, keep a crash helmet in your closet, or regularly blitz the Nurburgring on a PlayStation, the Nissan GT-R still manages to stand out as the undisputed king of Japanese performance. No other model from the Land of the Rising Sun can boast the same combination of radical, lap-time-decimating technology, distinguished motorsports history, cultural recognition, and heart-stopping, pants-wetting speed. At the base of the GT-R family tree, we find the Hakosuka, a car that set the precedent for everything Nissan’s supercar stands for today. It’s the original that started the legend, so if you’re ever fortunate enough to see one in the metal, give some respect. Incredibly rare in the U.S.